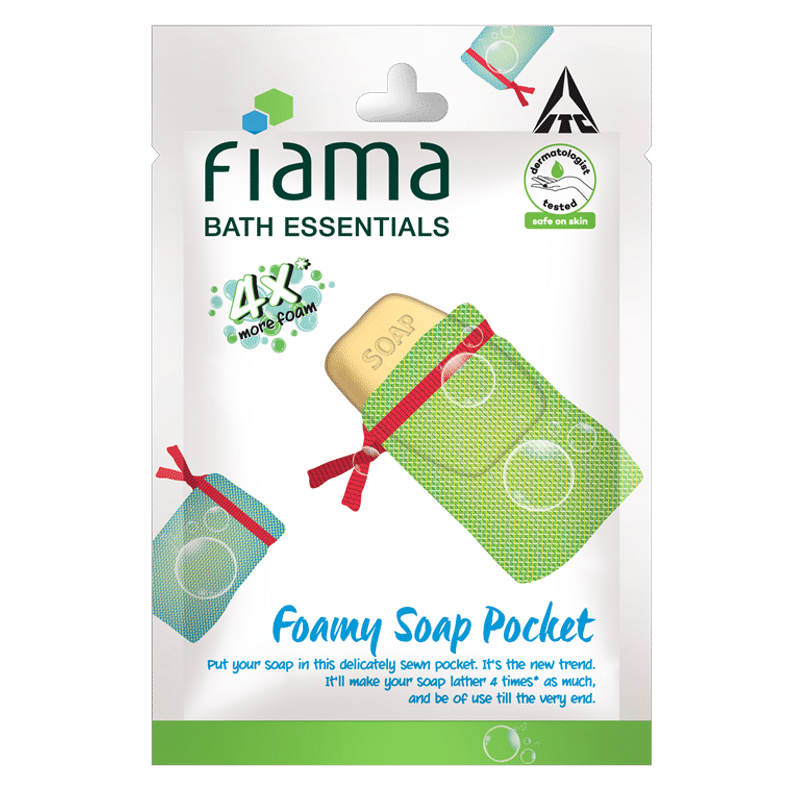 Fiama Bath Essentials Foamy Soap Pocket is here to bring back the joy of bathing! Put your soap in this delicately sewn pocket, it's the new trend, It'll make your soap lather four times as much, and be of use till the very end. Designed specially for your bar soap, it smoothens, exfoliates and energizes your skin. It's gentle threads will make your soap lather like never before and never go to waste.